Blood-C Series Collection Blu-ray Review Blood-C is an interesting release from Madman that once again proves that anime can be quite varied and diverse. Blood-C is an interesting series that begins with a whimper and ends in a huge cataclysmic conclusion that will leave you wanting more. The protagonist of the series is Saya, an innocent school girl who seems too perfect for the world that she lives in. Initially I thought she was the perfect anime stereotype character with her goody two-shoes nature but as the series progresses, you soon realise that she is far from the anime norm. Joining Saya is an equally interesting assemble of colourful characters from classmates to teachers and of course that mysterious man. The world of Saya is like something out of My Little Pony with sunshine, peaches and soda pop... but when the sun goes down, this idyllic world makes way for something very dark. This is the twist to Blood-C.
At times, Blood-C reminded me of Buffy the Vampire Slayer as the world is oblivious to the dark creatures that roam their streets at night. Saya is also trained by her father who teaches her how to use a mystic blade that is supposedly the only weapon that can vanquish these creatures. Unfortunately as Saya walks the path of hero, she soon discovers that not everything is what it seems and certain parts of her life are blank. It's like fragments of her memories have been stolen. 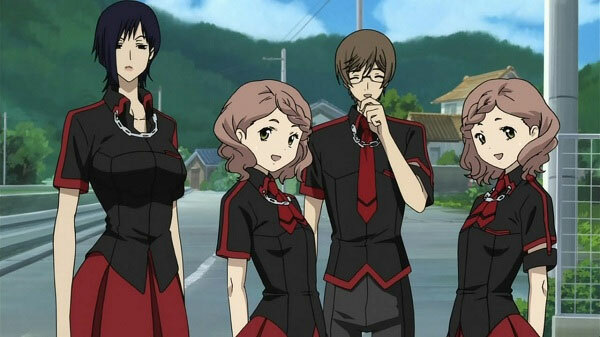 As secrets are uncovered by Saya and friends, the series really kicks into high gear after the third episode and some of the battles and violence is quite spectacular to see unfold. 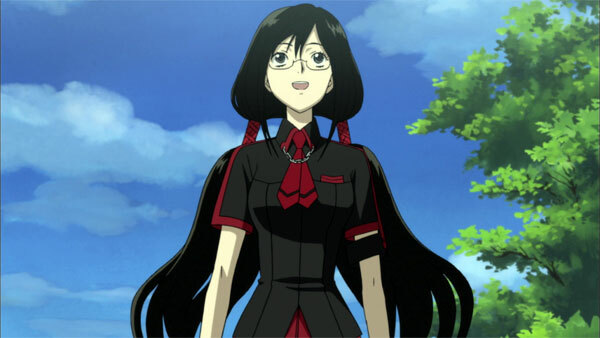 I really hope we will see more Blood-C because Saya becomes this very interesting character at the end with some truly mind twisting questions still left to be answered when the final credits roll. All in all, Blood-C is a very powerful anime series with a relatively original story with some great characterisation. The video quality of Blood-C looks fantastic on Blu-ray, thanks to the 1080p presentation which really highlights the animation of this series. Colours are vibrant, especially red and blacks are very deep. Audio supports 5.1 Dolby TrueHD that compliments the story well and the production company should be commended on a rather impressive English dub. 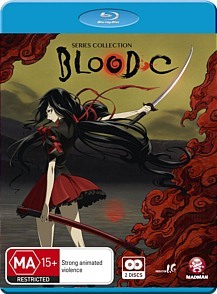 For extras, Blood-C the Series Collection features commentaries, original commercials, promotional videos, textless songs, English language trailer and Madman Trailers. I was surprised at how interesting the commentaries were but apart from that, the remaining special features are more filler than substance. Nonetheless, keep it up Madman! 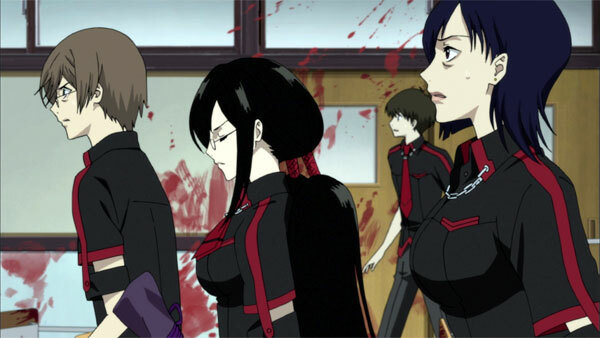 Blood-C is an interesting release from Madman that once again proves that anime can be quite varied and diverse. Although the story of Saya begins quite slowly, things really hit the cosmic fan big-time when she learns about her secret destiny. With some great characterisation and of course lots of anime clichés, Saya is definitely a thinking man's character that even comes with a touch of fan service. From spectacular battles to dark mysteries, Blood-C ticks all the right boxes and delivers some truly unexpected twists and turns.